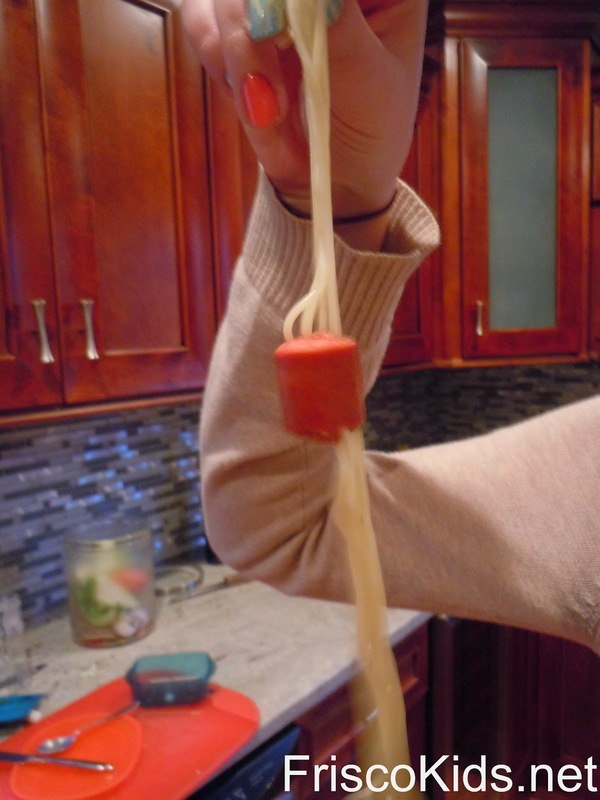 One of my friend's mothers posted a picture of this food idea on Facebook. 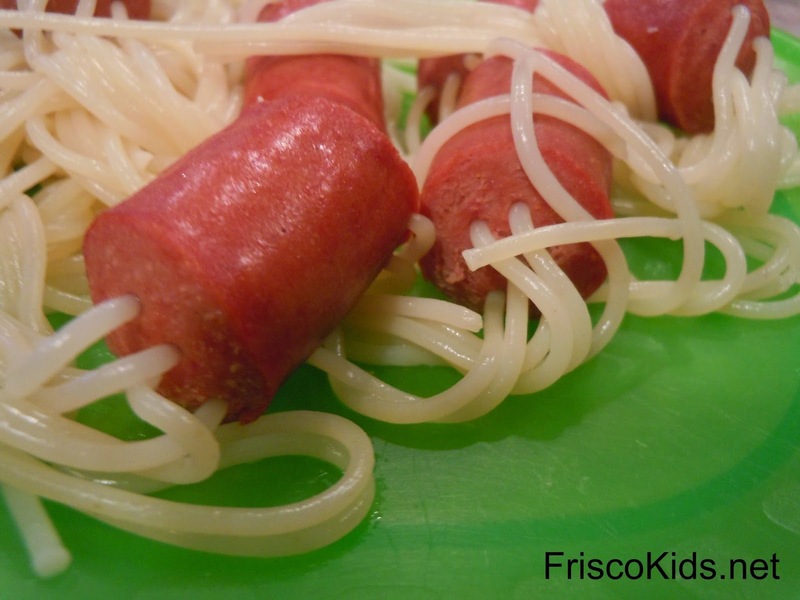 I thought it was the weirdest looking thing, and realized that my kids would eat it up (literally and figuratively). 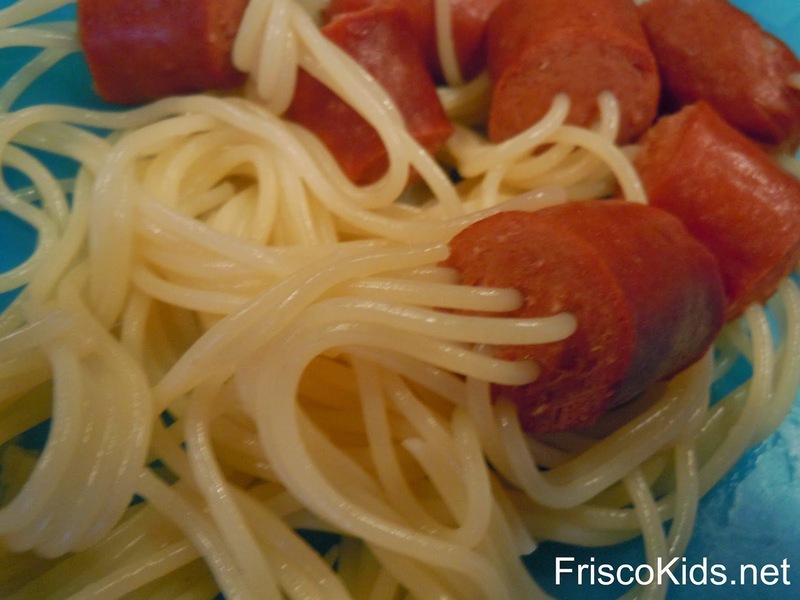 All you need is spaghetti and hot dogs (I'm guessing that sausage or veggie dogs would work fine too). 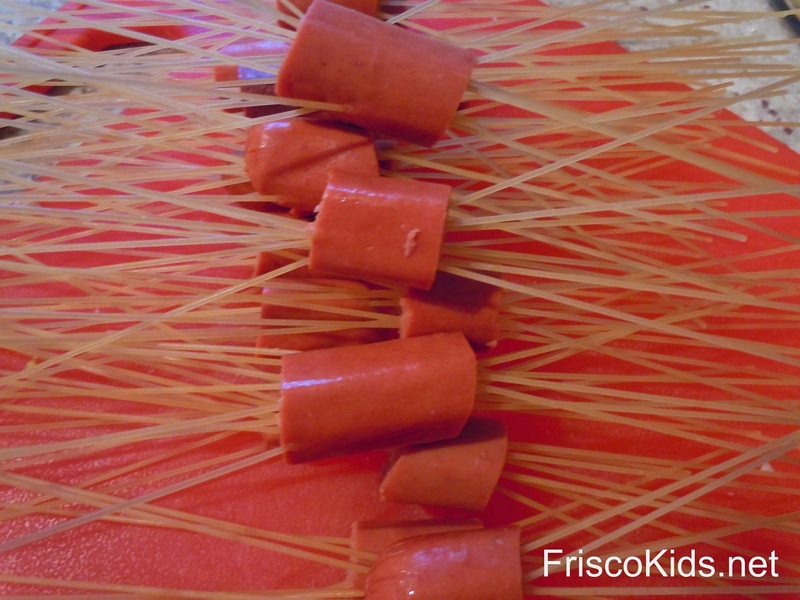 Poke about 6 uncooked spaghetti pieces through the hot dog pieces so they extend out equally on both sides. I thought it would be easy to make them go straight through, but I couldn't get them to do that (not that I tried that hard). They made it through the other side without breaking, but were at angles. 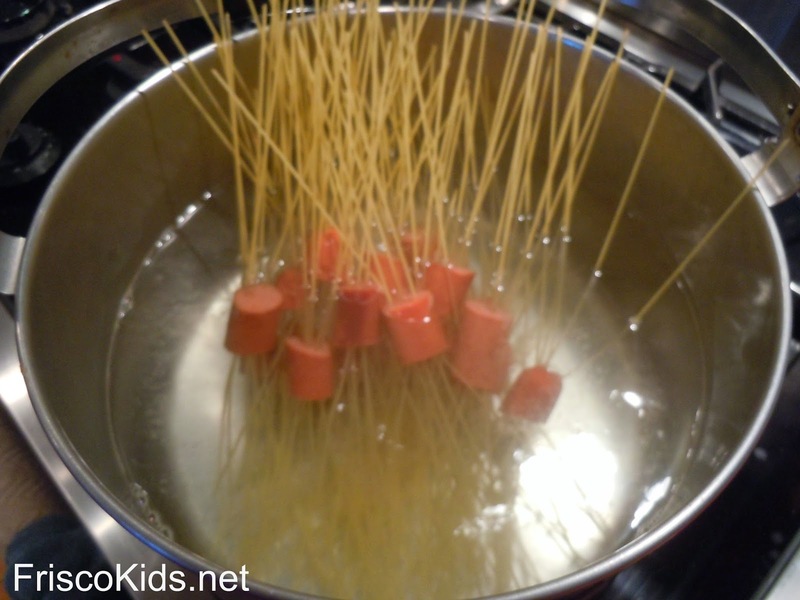 Boil the pasta - following the directions on the pasta package for time. 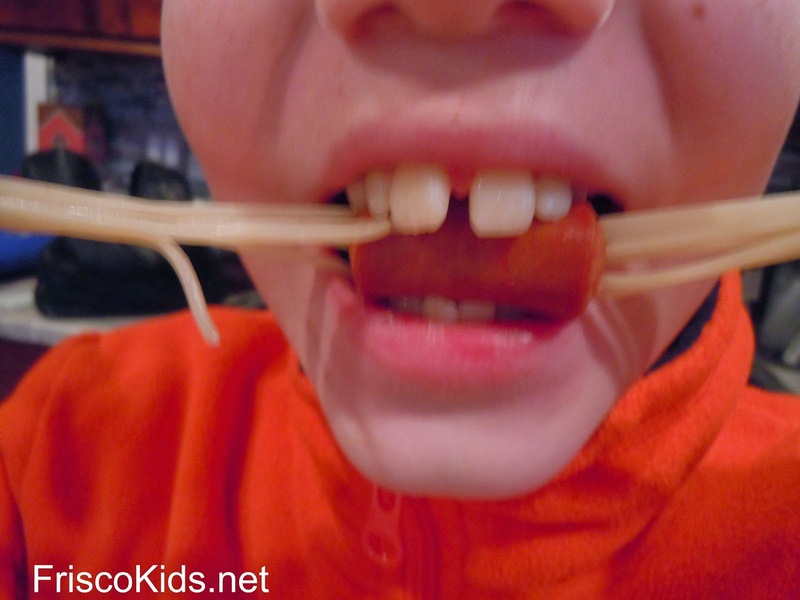 When it comes out, it will look really odd - with pasta coming through both sides, kind of like worms or guts. My kids were both horrified and fascinated. My daughter said, "that's a meal I'll remember for a long time." My son couldn't figure out how I did it. I'm not sure I will make it again, but it was fun once!